The sandy beach encompasses the southeast side of Hidden Valley Lake. The perfect place to laze away a summer day. The beach is also a great place to view the many spectacular sunsets nature bestows on HVL! 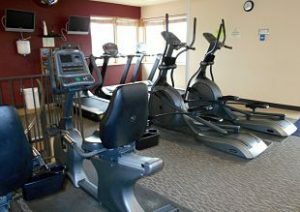 The Hidden Valley Lake Fitness Center offers a state-of-the-art cardio fitness room with two flat screen televisions, strength training equipment, group fitness classes and more. The 18-hole, 6511-yard par 72 championship course at Hidden Valley Golf Club will delight even the most discriminating golfer. Undulating greens and winding creeks enhance the experience that the Kidwell-Hurdzan design offers. The clubhouse includes a well-stocked Pro Shop, shower and locker room facilities, as well as a full-service Grill & Bar. Riding golf carts, practice putting green and driving range and professional golf instruction are available. Though the private club is community-owned, members need not be HVL residents. 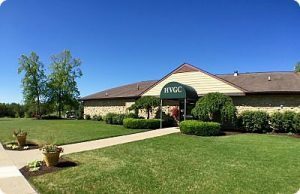 HVGC is open to members year-round, weather permitting. 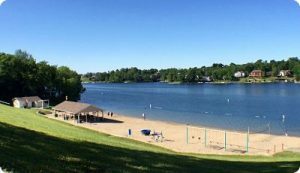 The centerpiece of the community, the 150-acre Hidden Valley Lake offers residents and their guests a wide variety of water activities. 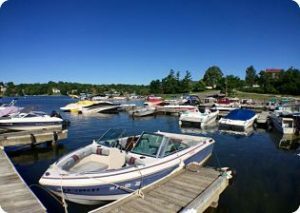 Whether canoeing, kayaking, pleasure boating, tubing, water skiing, or swimming, the lake is a great place to relax and have fun. 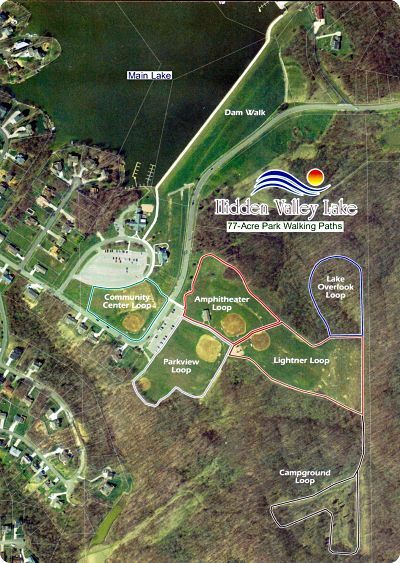 In addition to the main lake, six smaller lakes are situated throughout the community. All are stocked with fish native to the area. The HVL Fish & Game Club sponsors several fishing tournaments throughout the season. Some winters even offer opportunities for ice fishing! Located at the southern tip of the lake, the marina features a convenient boat launch, lighting and security cameras. Members may rent docks from the POA. Residents may reserve selected shelters. The Hidden Valley Lake Pool Complex features two outdoor pools fully staffed with trained and certified lifeguards. Children enjoy several water play features in the zero depth entry baby pool. Built in 2012, the pool building is equipped with restroom facilities, heated showers and private changing areas. Full service concessions are open during pool hours. The 15-acre Lightner Athletic Fields Sports Complex is located across from the Community Center. With 5 baseball fields and 3 soccer fields, the area is the scene of many lively sports competitions. Check the HVL Athletic Club for baseball and soccer registration and schedule info. The Sports Complex features a concession stand with restrooms. A large playground provides hours of children’s play activity. 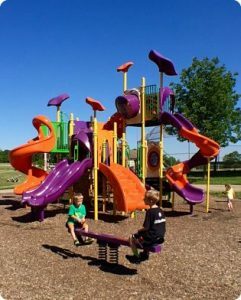 Adjacent to the playground is a covered picnic shelter, where parents can relax while keeping an eye on the kids. Starting at the marina parking lot, a 2.5-mile paved walking path continues across the dam to the Community Center area. Follow the path to the Sports Complex where various loops wind through the wooded area surrounding the ball fields. 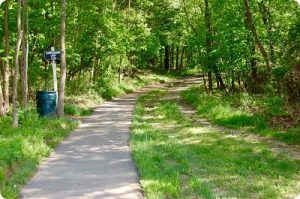 The path offers walkers, joggers and stroller pushers a perfect opportunity for outdoor exercise. Take a hike with the kids, enjoy the great outdoors or sneak a peak at local wildlife. 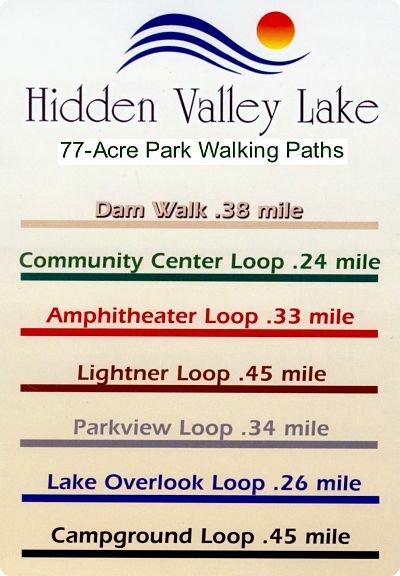 Enjoy the natural beauty of Hidden Valley Lake! 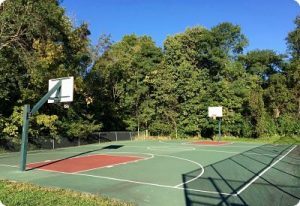 Nestled against a wooded backdrop, the basketball and tennis courts are adjacent to the Pool Complex. 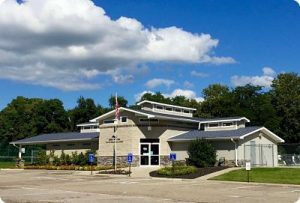 With ample parking as well as bicycle racks, court facilities are open to residents year-round from daylight to dusk. The two plexi-pave surfaced tennis courts are fully fenced with two entry points and a practice backboard. A full-size hard surface basketball court is perfect for practice or friendly competition.